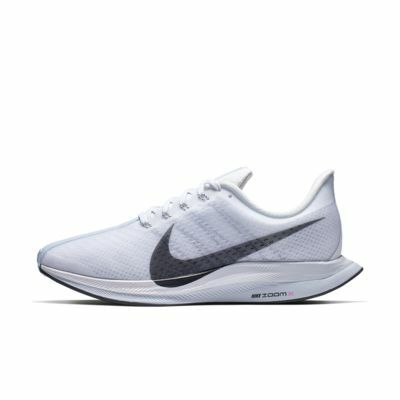 Кроссовки Nike Zoom Pegasus Turbo — это всем известные и всеми любимые кроссовки Pegasus с потрясающими обновлениями, повышающими скорость. Стремительная конструкция невесомого верха дополнена революционным пеноматериалом Nike ZoomX, разработанным для бегунов Nike мирового уровня в рамках проекта Breaking 2. Он помогает бить рекорды скорости и обеспечивает потрясающую амортизацию на ежедневных пробежках. Специалисты Nike совместно с лучшими марафонцами из Кении разработали пеноматериал Nike Zoom X, обеспечивающий самый большой возврат энергии в истории обуви Nike. Пеноматериал расположен прямо под стопой, что усиливает амортизацию при каждом шаге. Технология Flywire представляет собой систему невероятно прочных нитей, интегрированных в шнуровку: они обхватывают среднюю часть и свод стопы, обеспечивая плотную регулируемую посадку. Невероятно легкий прозрачный материал верха создает эффект движения, даже когда ты стоишь на месте. Бортик в области пятки не прилегает к ахиллову сухожилию, обеспечивая комфорт на длинных дистанциях. In only my second time wearing the shoes, the back portion of the upper sole split in half when I was simply running on a paved street. Not at all the durability I would expect from Nike. I was running using a different brand of shoes and I thought I had finally found enough support for my knees. I decided to try this one as recommended by someone I chatted with on nike.com. The other brand I was wearing is notorious for comfort but also super ugly, and I wanted a more stylish shoe. I found this to be a much better fit and a lot more comfortable than my other shoes. The toe box seems tight at first, but because my toes don't move around, it has reduced the pain caused by my bunions. In just the first week wearing them, I ran my fastest mile and fastest 5k. I'm a beginner runner, and just started training for a half marathon. 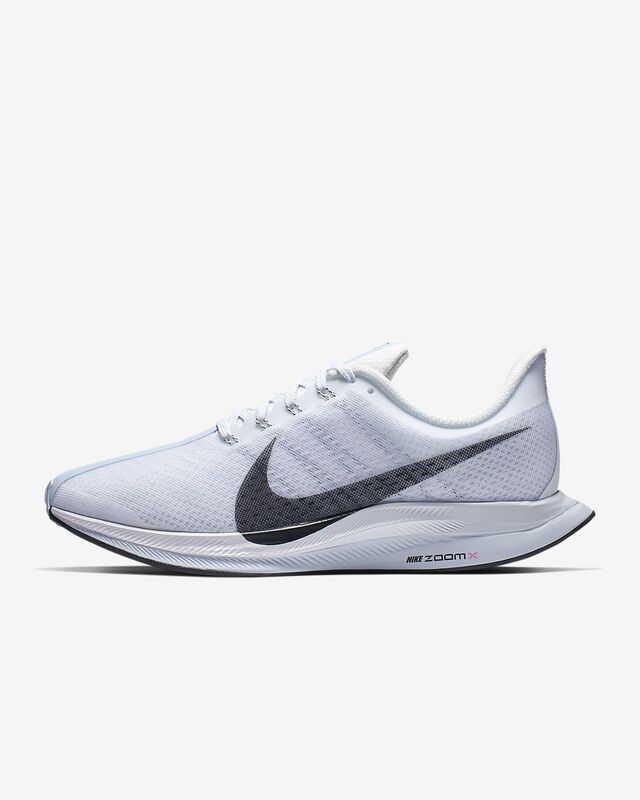 I've run mostly on a treadmill so I can't speak about durability, but I'm super impressed with these shoes and I think it's worth the money to have a shoe that makes your runs enjoyable. Very disappointed in Nike and these shoes. After 2 months the soles are already coming completely apart. For a very expensive, “premium,” shoe at $180 i would expect much better. Nike customer service was not much help. I can send them in for flaw review but no estimate on how long this will take, up to months. These are my main running shoes and after spending $180 now I need to get a new pair for the meantime or use an old worn out pair? These were comfortable and great while they lasted, but if they can’t hold up what is the point? Even crazier, these have only been my indoor running shoes for shorter treadmill runs. Not subjected to rough surfaces or weather and they still fell apart. I’m scared to think if I had used these in my outdoor running season how short they would have lasted! Don’t waste your money.